Transformational coaching for professionals who want to work and live with heart, aliveness, and purpose! Transform Challenges into Successful Changes! Hello, I’m Eve Siegel, M.S., PCC, CPCC, certified life coach and certified mentor coach with over 30 years’ experience as a coach, mentor coach, somatic facilitator, and non-profit program director. I delight in guiding professionals like you who want to make rewarding, heart-centered career, life balance, and other and personal changes with clarity, confidence, and passion! Having work you love is a vital part of a life that is rich and balanced with caring relationships, personal well-being, creativity, and awareness. Because I love how my career as a certified life coach has changed my life, I look forward to helping you create a livelihood and way of living you love, too. From years of coaching highly motivated people to find deeply satisfying career and alternative work paths, I know that it's well worth your time to explore the kind of changes you really want to make. This is what I call "transformational change," where I help you go deeper into what is truly meaningful to you to create a foundation for successful change. It's a huge step turning your dreams into your reality. Even with the best of intentions, most of us face fears, doubts, and distractions as we begin to make vital changes in our work and our whole lives. But with the right kind of skilled support, you can learn to stay connected with your vision and strengths, open yourself to new possibilities, make inspiring choices, and maintain the momentum you need to transform the way you really want to work and live fulfilled! 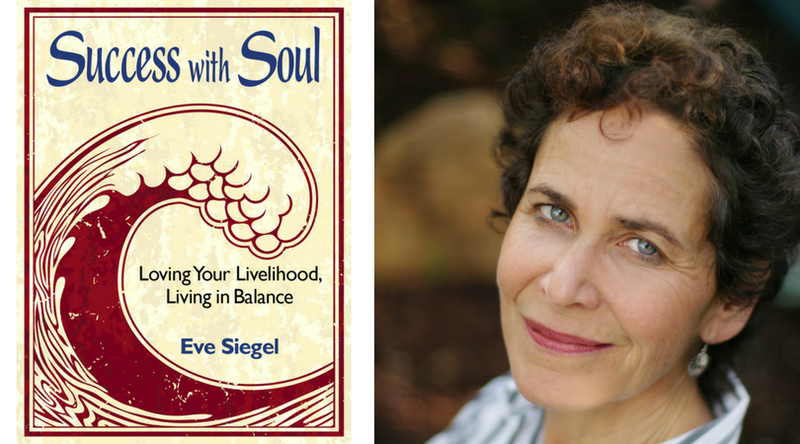 Read Eve Siegel's inspiring book to help you make professional and personal transformations in your life! Read Eve's wide-ranging explorations on creating transformative career and life changes. Ready to take the next step? Sign up for a free phone or Skype conversation with Eve. Living Fulfilled: Finding Time for What Matters Most! Are you overworked or dissatisfied with your work? Concerned about retirement? Are you trying to do so much that you don’t feel like you’ve accomplished anything? Find balance and fulfillment in: Living Fulfilled: Finding Time for What Matters Most!